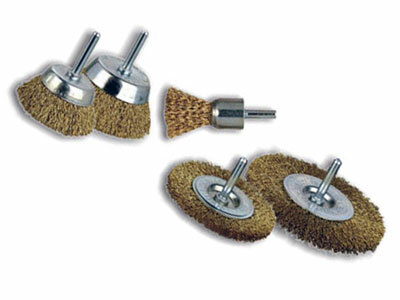 The end brushes for drill are designed for frontal jobs with electrical and pneumatic tools. 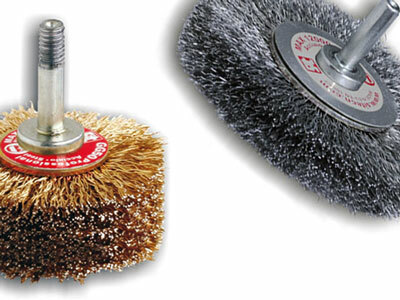 For jobs in deep or shallow cavities and for internal surfaces hard to reach. 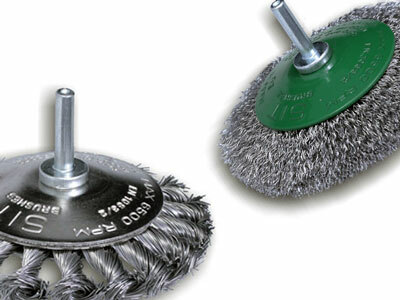 The cups for drill are ideal for every surface treatment with electrical and pneumatic drills. 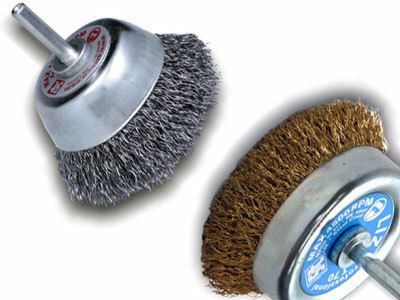 Perfect for heavy-duty jobs of paint stripping but also for light jobs of maintenance and cleaning. 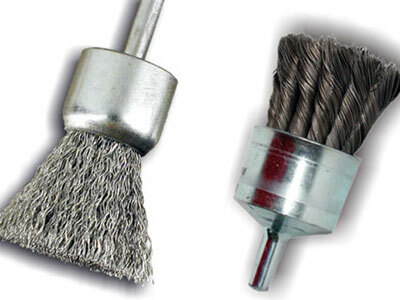 Bevel brushes for drill are engineered for "sideways" works on irregular surfaces with corners, profiles, cracks. 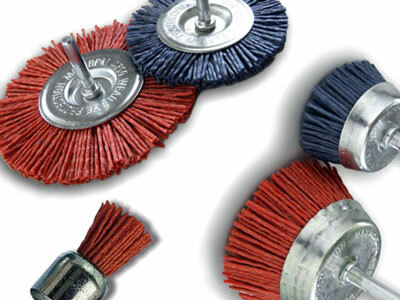 The line Abrasives for drill is designed for applications on stone, bricks, shingles, concrete, wood and metals. They don't scratch and do not oxidize. 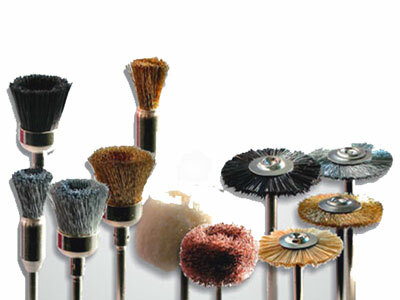 A complete series of small brushes for drill for precision works and for hobby modeling. Handy Display Box containing 8 pieces for type of drill brushes among the most frequently used.